Plaid Stallions : Rambling and Reflections on '70s pop culture: Plaid Stallions in Famous Monsters of Filmland! I am honoured to have been a part of this October's issue of Famous Monsters of Filmland. 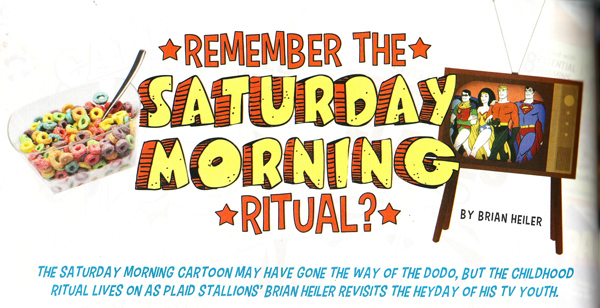 I was tapped by Editor David Wiener to write a piece about Saturday Morning and I had a true blast working on it. If you're a reader of this blog, this piece will speak to you as will the interviews with Martin Landau, Lee Majors and Richard Benjamin. If that weren't enough, Pod Stallions, the podcast that i co-host with Jason Lenzi is the featured show of the month! Yay! 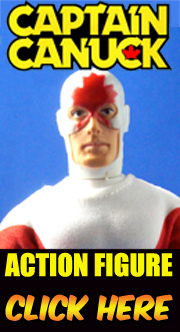 If you can't find a copy at your local book store, check it out at Captain Company where you can get a Six Million Dollar Man variant cover.